Teach from a textbook that has been extensively researched so that materials are mathematically clear and pedagogically effective. Findings from multiple field tests in diverse settings were incorporated into the final product. Guide your students sequentially from concepts and skills to application and problem solving using Phases. Each unit is divided into several Phases with the final Phase providing a variety of assessment opportunities for all levels of students. 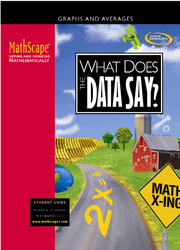 Enhance your curriculum coverage with strengthened content on fractions, decimals, and percents; added content on integer concepts and operations, factors, multiples, and rules of divisibility; and designed new lessons on proportions, graphing linear function, similarity and congruence, and transformation.